Lana is now known as Hope. What an excellent name for this little girl. I hope to have updates on Hope's progress from time to time. About an hour ago, I got this text photo from a good friend and fellow teacher. She also added, "guess who came to live with me today." My friend K knows that Lana will take some work to socialize. Lana has an older brother there (also Poodle). So I guess I will be meeting Lana sometime this week. A big YEA for Lana and K! Yesterday, while waiting to get a tire fixed at our auto repair shop, I just started flipping through Petfinder. That is when I found Lana, a little 12 pound red Poodle. Lana is in the Kansas City area, though technically on the Kansas Side (Overland Park). One fact about Lana that made her dear to my heart. She has escaped the Puppy Mill system that is so prevalent around Missouri. She is only four, but has spent her first four years in a cage. 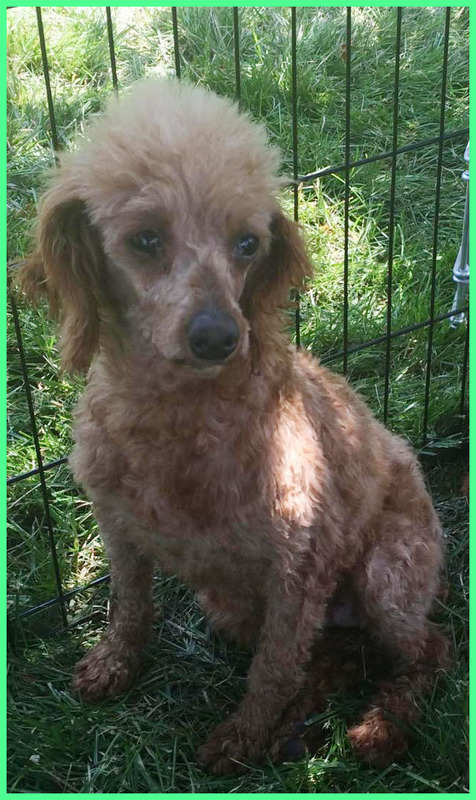 Having two puppy mill Poodles myself (both females too), I know the work that would be involved in adopting Lana. But, if adopting Lana will be anything close to my experiences, that person's life will be incredibly blessed. Having six dogs and six cats, I am on adoption lock down. At this point I can only share. 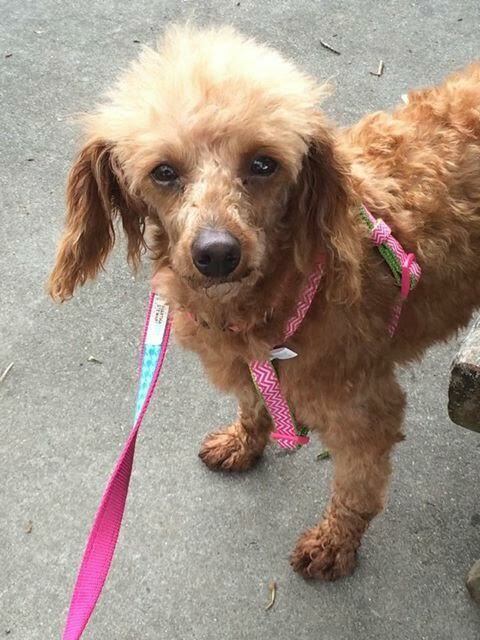 If you know anyone who would like a beautiful red Poodle that needs some extra love and attention, please click on this Link that is Lana's Petfinder page.